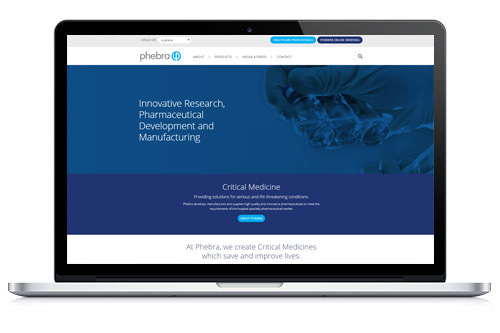 Phebra’s goal was to gain ownership of their website, tweak design and enhance current security and content management. Must adhere to the many regulations / systems and tight content approval that Australian Pharmaceutical companies are held to. Users must be able to easily navigate and use this website with a minimum of complexity. Slashdot and Phebra spent some time nailing down every single element of this project from basic design to the wording of a status message, due to the very strict guidelines set by government regulation. End result -Much rejoice and two very happy parties! It’s fast, secure, and Admins are loving there new Content Management System.